We understand that maintaining a healthy and safe indoor environment would be impossible without an optimally functioning exhaust fan, and the best way to ensure that your fan is always functioning properly is to have a panel that allows for easy access to your fan. Without access to the other side of your fan blades, grease can build up and throw the fan off balance, which can cause your system to vibrate or rattle. This can lead to premature wear on the belt and bearings over time and significantly reduce the effectiveness and efficiency of the exhaust fan. These reasons and many others are why it’s required by law to have a panel that allows for easy access to your commercial exhaust fan. 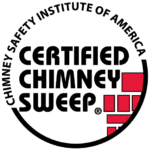 NFPA Standard #96 requires that a 3″ x 5″ opening or 4″ circular opening must be installed on the curvature of the exhaust fan bowl to ensure that your commercial ventilation system can be thoroughly inspected and cleaned. These panels allow us to clean the back side of the fan blades that would otherwise be completely inaccessible.